Bellator MMA heavyweight and street fighting legend Kevin “Kimbo Slice” Ferguson (pictured) has died at the age of 42. Bellator president Scott Coker just confirmed Ferguson’s passing. 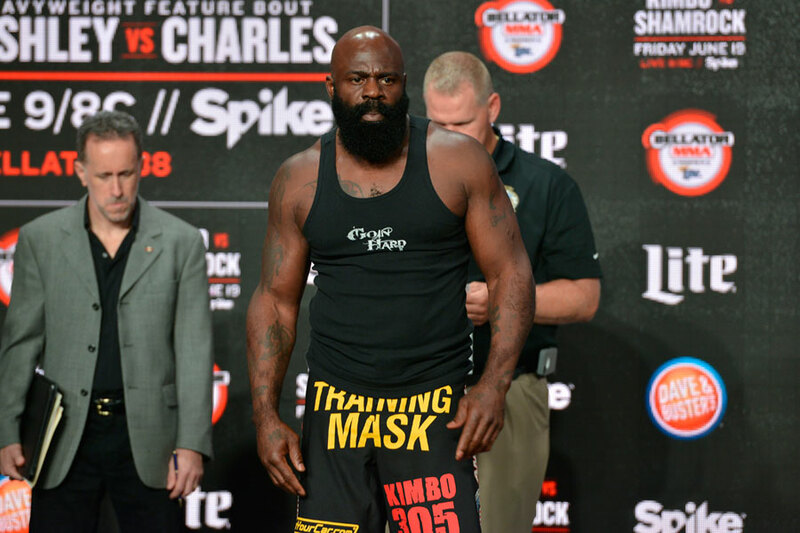 “We are all shocked and saddened by the devastating and untimely loss of Kimbo Slice, a beloved member of the Bellator family,” Coker expressed in a statement. “One of the most popular MMA fighters ever, Kimbo was a charismatic, larger-than-life personality that transcended the sport. EliteXC brought Ferguson along slowly, but put all their eggs in Kimbo’s basket given his mainstream popularity. He started off 3-0, but Seth Petruzelli shocked the MMA world with a TKO victory in October 2008. Ferguson then tried his hand at boxing where where kicks, takedowns and Brazilian jiu jitsu were eliminated from the equation. He went a perfect 7-0 in boxing. Bellator signed Ferguson in January 2015. Both of his fights for the promotion were smash hits. Ferguson had set Spike TV’s live event record in his debut victory over Ken Shamrock last June with 1.6 million (peaking at 2.4 million) viewers. Ferguson followed that up by co-headling Bellator 149 against Dhafir “Dada 5000” Harris. The event peaked at 2.7 million viewers to watch his win over Harris. However, the bout was overturned to a no contest after Ferguson tested positive for steroids and elevated levels of testosterone after the fight. Ferguson was slated to fight James Thompson at Belltor 158 on July 16 at O2 Arena in London.